We don’t have any profound speeches, but we’re so happy you like us — you really like us! 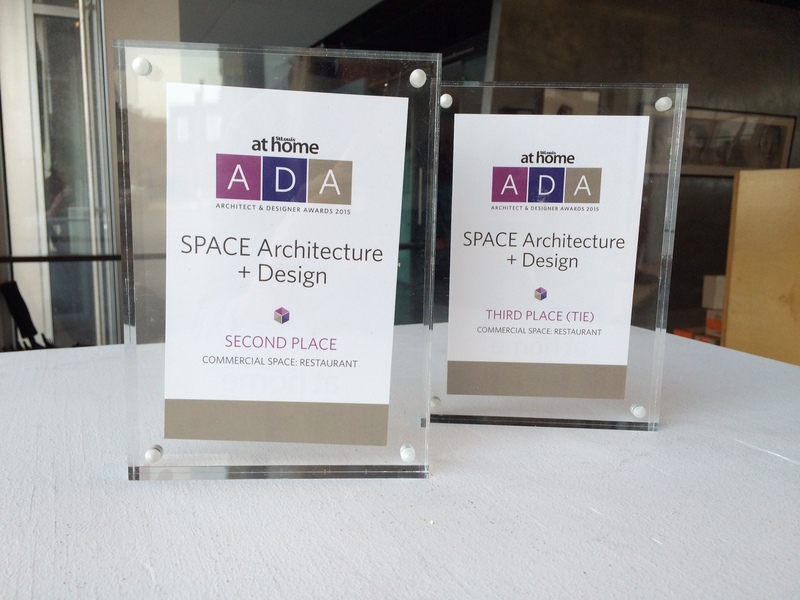 — and it showed last week as we brought home two trophies from the St. Louis At Home Magazine Architect + Designer Awards. Wheelhouse won Second Place for Restaurant Commercial Space, and Mission Taco Soulard won Third Place for Restaurant Commercial Space. Big thanks to our clients who keep giving us the chance to do what we love to do, and another big thank you to our creative staff, the people who keep on designing innovative spaces for dining and celebrating. The host stand SPACE designed and fabricated. Cupples 8 is a natural beauty: brick, wood beams, and large windows.